Maximize your time on the greens by staying right on the course. The Ozark views and country club style amenities are all yours to enjoy. Comfortable condos are individually furnished, so no two are alike. No need to get up early, you can go play after dinner - both courts are lighted. Book, tablet, wine, cocktail, coffee - any combo will do. Choose from cardio equipment galore, then hit the weights. Ripley's Believe It or Not, the Titanic Museum and the World's Largest Toy Museum are located nearby. You will love having a golf course onsite and Thousand Hills Golf Resort just 3.8 miles away. Castle Rock Resort and Waterpark and White Water water parks are fun for the whole family. Pointe Royale Condominium Resort & Golf Course is in Branson, the ideal location for entertainment seekers. The resort offers far more than just golf, golf, golf – although the 18-hole championship course is among the best in Branson, just FYI. Don’t bother unpacking once you get to your condo, just get changed into swimsuits, slather everyone head to toe in sunscreen and head for the pools. You have two outdoor pools to choose from – or alternate from one to the other. The children’s pool will keep the little ones happy, and there’s an indoor pool in case it rains. If the weather is cooperating, take advantage of the bbq grills for a family cookout. Recruit the kids to help carry hot dogs, burgers and sides. Then lay out the condiments and toppings and let everyone go to town. The 24/7 fitness center lets you work out when it works for you. Individually furnished & decorated one- to four-bedroom condos sleep four to ten guests. Three-Bedroom condos include a loft. Full kitchens have everything you need to make everyone’s favorites. The kids will be begging to help bake your famous chocolate-chip cookies (and be the official taste testers). And freezers are perfect for storing dessert – fudgsicles for the kids (and a Häagen-Dazs stash for the grown-ups). Don’t feel like cooking dinner? Take a night off and head for the clubhouse restaurant, where a full menu awaits (and someone else does the dishes!) Evenings are made for hanging out in your condo. TVs with DVD players are perfect for family movie night. Bring favorite movies from home, call everyone into the living room and put one of the kids on snack duty. While the movie is playing, show off your multitasking skills and throw a load of laundry into your in-suite washer/dryer. Need more space? Upgrade to a Luxury condo. 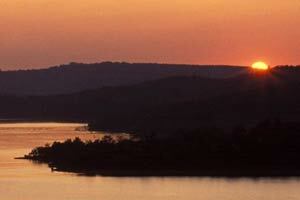 Pointe Royale Condominium Resort & Golf Course is less than fifteen minutes away from the best attractions in Branson. Kids (and kids-at-heart) will love the World’s Largest Toy Museum. It features over one-million toys including cast iron toys, Disney, Barbie, action figures and pull toys (tell the little ones to look out for a familiar face from Toy Story 3!) Surprise the kids with a stop at the gift shop for a stuffed animal, puzzle or classic board game. History buffs will appreciate the Titanic Museum. Learn what it was like for a first class, second class and third class passenger aboard the Titanic’s only voyage. It features actual artifacts from the ship and a replica of the Grand Staircase. This educational and immersive experience has two options: book a private tour or choose a self-guided tour to go at your own pace. Keep in mind that the Titanic Museum may be too intense for young children. There are over one-hundred shows in the Branson Theatre District (more than Broadway!). Amazing Pets, Million Dollar Quartet and Legends in Concert are just a few of your options. Head to Dolly Parton’s Dixie Stampede Dinner Show for a delicious four-course meal along with a show that features thirty-two horses and exciting stunts. A family field trip to Silver Dollar City is definitely in order. It features over forty rides including Outlaw Run, the “world’s most daring wood roller coaster” which goes upside down and features three twists! - The front desk is open 7:30AM - 9:00 PM Monday-Friday and 7:30-10:00 Saturday-Sunday. Guests that are planning to arrive after hours can pick up keys to the unit from a lock-box located outside the front desk. For more details please contact the property using information on the booking confirmation.